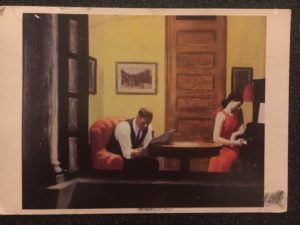 For my 3/16 slice, I wrote about a postcard of the Edward Hopper painting, “R oom in New York, 1932” that has hung on my refrigerators in 5 different homes over the past 20 years. 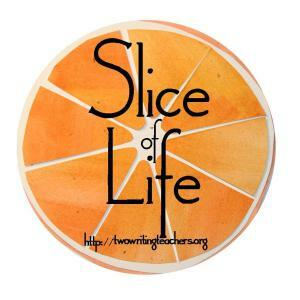 For today’s slice, I took that entry and turned it into a poem. I never looked to see your place of origin. I have never bumped into your mother. Yet, you hold the sweetness of youth.